Wonderful antique classic enamel numbers in white background with black lettering. Oval measures approx 2 x 1.5". Sold individually. France, circa early 1900's. 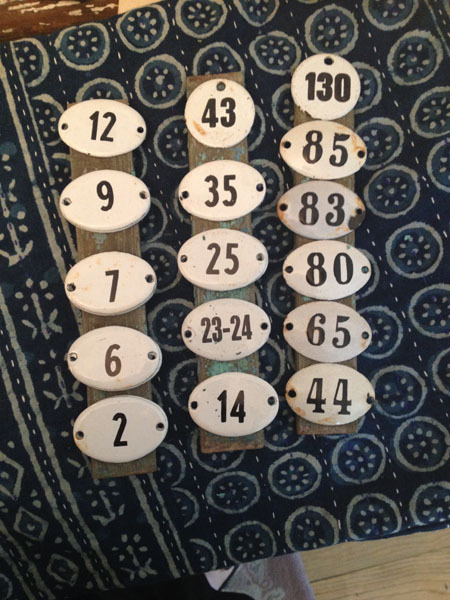 Indicate your desired number in Comments as shown in the photograph; several of each number shown available. These are the only available numbers.